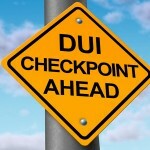 Anywhere in Southern California, if you are charged with driving under the influence on the basis of any DUI test – a blood, breath, or urine test or a field sobriety test – immediately contact an experienced Orange County DWI defense lawyer. If you are accused of DUI, a good DUI lawyer will usually challenge any and all of the DUI tests being used as evidence against you. 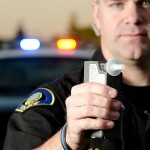 Field sobriety tests (FSTs) are usually conducted by the police prior to making a DWI arrest. 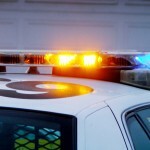 Police officers can use one test or a combination of the several basic field sobriety tests, but typically an FST combines three separate tests: the horizontal gaze nystagmus (HGN) test, the walk-and-turn, and the one-leg stand. Field sobriety tests are infamously flawed; all kinds of influences can impact the results. A police officer can also ask a driver to submit to a preliminary alcohol screening (PAS) test conducted with a portable breathalyzer device. Drivers age 21 and over in California should always politely decline to take a PAS test. The test is untrustworthy and often mistaken. Unless you are under 21 or you are currently on probation for a previous DWI conviction, you are not required to submit to any of these tests prior to a formal arrest. That all changes, however, when you’re taken into custody. Then, you’re obligated to submit to a chemical DWI test by law. Failing a chemical DWI test does not automatically make you guilty. 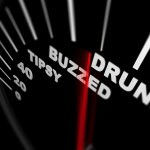 You should dispute the charge with the help of a good DUI attorney. If your DUI case goes to trial, a good DWI attorney will find any discrepancies or inconsistencies in the state’s case and use them on your behalf. If you face a DWI charge in southern California, contact an experienced Orange County DWI defense lawyer as quickly as possible.